I’m convinced Toyota keys must have been designed and manufactured by an auto locksmith! The remote keys used for Toyota vehicles are extremely flimsy and are prone to snapping and falling apart. The good news is we offer a complete Toyota key repair service. We frequently receive calls from customers asking us to give them a quote for supplying and programming a full replacement remote key for their Toyota. We always ask the customer if the key is required as a back-up spare, or if they have lost all of their keys. I’m hearing more and more that no keys have been lost, but in fact their Toyota key has snapped and is falling apart. We can save our customers a large sum of cash by actually repairing their Toyota key instead of suppling them with a costly replacement. Toyota remote keys cost over £200 to obtain through the main dealer and a brand new key is the only option offered if you deal with Toyota directly. The Auto Locksmith is able to refurbish your damaged Toyota key for less that half of what Toyota would charge. How do Toyota keys break? The majority of Toyota remote keys seem to break around the plastic housing of the remote locking top part. There is a small screw situated on the join of the Toyota key blade and the remote locking fob. We see hundreds of snapped Toyota keys that have cracked at this joining screw point. When this happen the key will continue to crack under the pressure required to make it turn in the ignition lock. 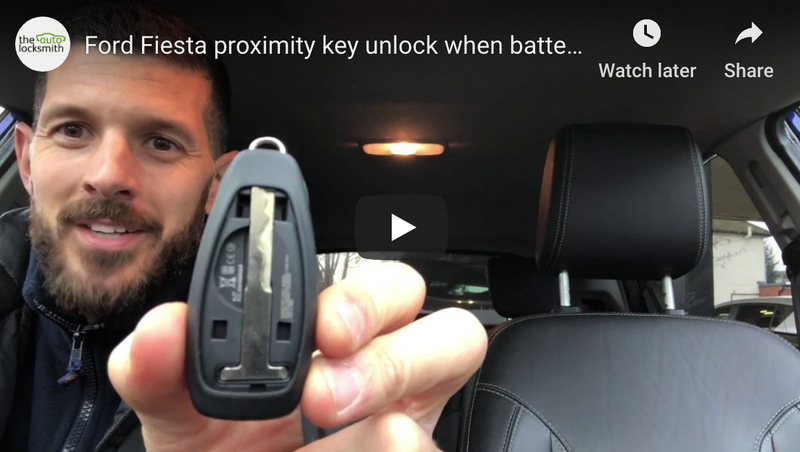 Eventually the metal blade will fall out of the cracked Toyota key casing and you will be left with two parts that are near on impossible to use. As long as you still have all parts of the key we will be able to supply you with a completely refurbished Toyota key. We will remove the remote locking fob (the plastic piece with the buttons) and place it into a completely new case. The case will have a new metal blade attached that we cut to fit your locks. We use your old blade as a template to cut the new key. Do not worry too much if you have lost the metal blade as we can always obtain a key number to cut your key for a small additional charge. The transponder chip that disables the Toyota immobilser and allows the car to start is concealed inside the remote locking fob. Its important that you still have the remote part for us to migrate into the new key. If you have lost the remote we will have to treat the job as a complete lost key situation and price accordingly. If the remote buttons are not working the transponder chip will still most likely be ok since it requires no battery to operate and is not linked to the remote locking operation in any way. We can supply you with a new remote for your repaired Toyota key, but this will hike the price up by quite a bit. Our Toyota key repair service is always completed on-site at your car. We are a fully mobile operation and will come to your location to assist with your broken Toyota key refurbishment. I would like a spare key for my Rav 4. I have one but require another. How much please? Hi Norman, there are a couple of different types of key we can offer for a Rav 4. We would also need to know your location. Feel free to give me a call on 07739383344 and mention this post.